W. Roger Kampf founded KSA in 1985. Prior to KSA, Roger worked for over 17 years as supervisor and senior adjuster of workers’ compensation and personal injury cases for Aetna Casualty & Surety. During this 17 years Roger developed a keen knowledge of medical malpractice and products liability cases by investigating, and helping Attorneys prepare for trial and assisting them during trial in Asbestosis, Birth Control Pills, IUD’s and Medical Malpractice cases as well as the usual automobile collisions and slip and falls. Roger uses his knowledge of the inner workings of the insurance industry to prepare and position his client’s cases for settlement and/or Trial. Roger, is never shy to go to trial. In his 48 years in the injury field, Roger has tried over 150 cases in the areas of medical malpractice, elder abuse, product liability, automobile crashes, slip and falls, workers compensation and social security, many resulting in multi-million dollar recoveries. 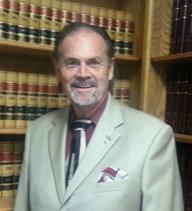 Roger has handled cases in California, Texas, Nevada, Arizona, Colorado, Oregon, New Mexico and Washington. Roger’s hobbies include golf, poker, reading and ice hockey.